All-out, no-holds-barred, political battles over nominees to the Supreme Court have become commonplace in the past few years. We witnessed one such battle after the passing of Justice Antonin Scalia in 2016. We have just witnessed another, ugly fight on the national stage this past June after Justice Anthony Kennedy announced his retirement. When both political parties see a single vacancy on the Supreme Court as pure political opportunity—or crisis—we know that something has gone horribly wrong. If the founders’ intent were fulfilled, it would not matter what the personal political views of a particular nominee are or what the party of the President who nominated them was. But, obviously, that is not the case today. The Founders also sought to create a nation where religious liberty flourished, but that vision is at serious risk: hostility towards people of faith is increasing. We see this even within the judicial confirmation process itself, despite the plain statement in Article VI of the Constitution which says that “no religious test shall ever be required” for holding public office. Yet, when Judge Amy Coney Barrett was nominated for the United State Court of Appeals for the Seventh Circuit in 2017, we saw a senator question her capacity to serve simply because of her faith. And it didn’t stop there: when Judge Barrett was later suggested as a potential nominee to replace Justice Kennedy on the Supreme Court, the media renewed the brutal attacks against her because of her faith. Meanwhile, others rehashed the earlier attacks on Judge Barrett, questioning her capacity to serve because, for example, she once spoke for Blackstone Legal Fellowship, which is sponsored by Alliance Defending Freedom. The judicial confirmation process has exposed deep-seated bias against people of faith and the politicization of the judicial branch. One reason is the steady infiltration, over decades, of political activists into our universities and law schools, teaching students destructive ideas that are in direct opposition to the framework of our Republic. Ideas like the “living Constitution”—that the meaning of our founding document, unmoored from its text, changes over time—have become commonplace in academia. Over time, this wrongheaded living constitution principle became the norm in law schools. Now we are reaping what they have sowed. Judicial activism—the substitution of a judge’s policy preferences in place of objective textual analysis—has become widespread in the nation’s federal courts. Immoral and destructive policies that have no basis in the Constitution have become important court precedents—the starkest example, of course, being the nationalization of abortion in Roe v. Wade. But, there is good news: we can reverse this trend. In fact, we have already started to do so. With rare exception, federal judges are accomplished, highly skilled and well credentialed lawyers before they take to the bench. So a large part of fixing the judicial system is training future and current attorneys—attorneys who will firmly grasp Constitutional principles and the importance of the freedoms it protects. This is a mission which ranges from training promising undergraduate students to the most seasoned attorneys, so that the finest among them might serve their nation on the bench, and Christ with their lives. 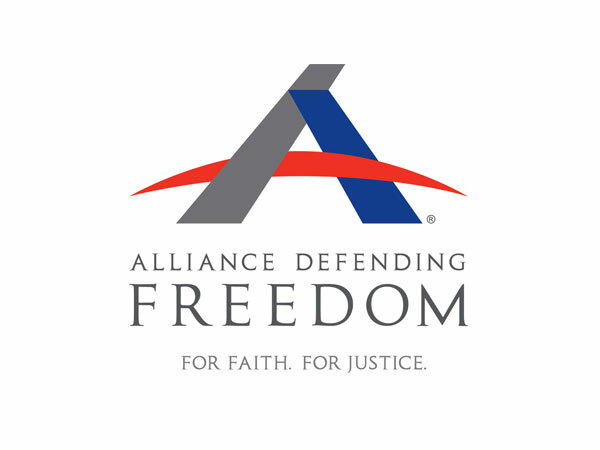 ADF Summit on Religious Liberty brings together seasoned attorneys and equips them to engage in legal and cultural strategies to allow religious liberty to flourish. Young Lawyers Academy trains recent law school graduates and lawyers in their first years of practice by providing resources and opportunities to engage in the battle for religious freedom. Blackstone Legal Fellowship brings together highly credentialed Christian law students to study under prominent scholars, participate in career-building legal internships, and prepare for a life of excellence and leadership in law. Areté Academy launches highly accomplished university students and recent graduates on a path to future leadership in law, government, business, and public policy. We are systematically equipping as many present and future attorneys as possible to use their talents for good, to stand against government abuse of power, and to fight and win for freedom—but we need to do more. Our Constitutional system has been under attack for decades, and it takes that kind of systematic effort to restore a right understanding of our founding charter. The framers of our great Constitution never intended for it to be this way. But, with your help, we are fighting to restore the judicial system—and by doing so, protect our Constitution and our constitutionally protected rights—especially religious freedom. To achieve this, it is absolutely critical to equip the brightest minds of the next generation for the battles that lie ahead. And we could not do this without your generous financial support. Now is your chance to invest in future attorneys—including those who may gain lifetime appointments to the bench—and will thus shape our political system for decades to come. By giving today, you will be coming alongside these attorneys and helping to secure the constitutionally protected freedoms of your children and grandchildren.